Dr. Janine Pepin grew up in North Ridgeville, Ohio with her sister, Marisa, who is also a veterinarian. Her parents, both school teachers, inspired their love of learning, and their passion for science and animals. Dr. Pepin earned a Bachelor of Science degree with a major in biology and a minor in chemistry from Baldwin-Wallace College, and graduated from The Ohio State University College of Veterinary Medicine in 1991. She worked at a North Royalton small animal practice for 3 years upon graduation. In 1994, Dr. Pepin founded Tender Loving Care Animal Hospital. She has practiced veterinarian medicine for 25 years. During those years, Dr. Pepin has served as vice-president and then as president of the Cleveland Academy of Veterinarian Medicine. Currently, she is a member of the Cleveland Academy of Veterinarian Medicine, the Ohio Veterinarian Medical Association, the American Veterinary Medical Association, the American Animal Hospital Association, and the American Veterinary Medical Association. Over the years, she has worked with a variety of animal rescue groups including the Medina County SPCA, Save Ohio Strays, and Golden Retrievers In Need. She and her staff also traveled south to assist on-site with the Hurricane Katrina animal rescue efforts in 2005. Dr. Pepin describes it as a life-changing experience. Additionally, she has been able to rescue and place numerous animals in need over the years, both personally and through the hospital. She resides in Hinckley with her husband, Tom, and their family of 7 dogs – Shark, Oppossum, Tracey, Baby Cakes, Spud, Menushka, and Ellie – all rescues of course! Her cats – Biscuits, Ali, Pasha and Mama, – live happily at Tender Loving Care. Dr. Pepin loves that the veterinary profession allows her the endless capacity to learn and grow, and positively impact both animal’s and people’s lives. Dr. Carol Krompacky is a life-long resident of Northeast Ohio- “I actually remember when the Browns were in the playoffs!” She graduated from THE Ohio Stated University of Veterinary Medicine in 2003. She has been a relief veterinarian since 2006. 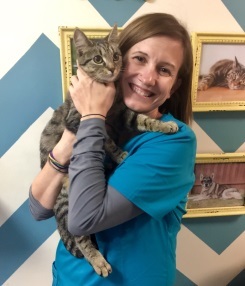 “I love working at different practices because I pick up so many useful ideas, not just from other doctors but from clients as well.” Dr. Krompacky has a special interest in feline medicine and is active in several feral cat trap-spay/neuter-release programs. 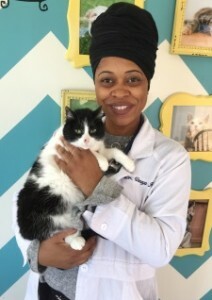 Dr. Venaya Jones earned her BS in Zoology from Kent State University, and graduated from Western University College of Veterinary Medicine in 2011. Dr. Jones is certified in low-stress handling and hospice care. She joined TLC as a relief veterinarian in February of 2017. Dr. Jones is married and has 2 two-legged kids and 7 four-legged kids. Dr. Charles Rogers is a veterinary internal medicine specialist and owner of Mobile Diagnostics. 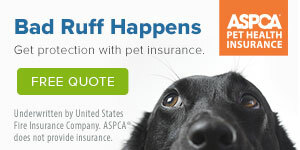 Mobile Diagnostics is a mobile consulting service that travels to Tender Loving Care Animal Hospital. Some of the services that he offers our clients are abdominal ultrasound, echocardiology, rhinoscopy, cystoscopy, ultrasound guided biopsy, GI endoscopy, oncology consultations and therapy. He and his team serve northeast Ohio and western Pennsylvania regions. 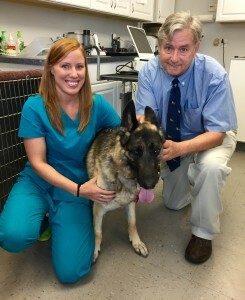 Dr. Rogers received his DVM degree from North Carolina State University. His internship was completed at The Animal Medical Center, and he finished his training as a resident at Small Animal Internal Medicine Tufts University. 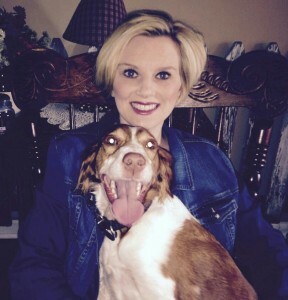 Michelle joined the Tender Loving Care Animal Hospital staff in April of 2011. She has over 15 years of experience in the veterinary community. Some of Michelle’s responsibilities include client service, staff relations, public relations, and keeping the clinic up-to-date on both products and services. 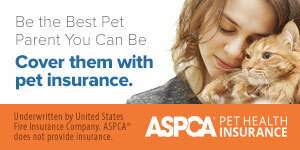 She enjoys learning about products and services that enhance our pet’s lives. Along with her administrative duties, Michelle also assists in the exam rooms when needed. Michelle’s personal life revolves around her family. She has been married for 17 years to her high school sweetheart, Jeremy, has an 12-year-old daughter, Olivia, and 3 beautiful cats named Allison, Tallulah, and Spooky. Michelle loves to spend time outdoors and doing things that Olivia loves to do. Brooke has been a receptionist at Tender Loving Care since August of 2014. Brooke earned her bachelor’s degree in Early Childhood Education from The University of Akron. Her love for animals drew her to work in the veterinary field, as she has always had a love for caring for animals. Brooke enjoys spending her free time with her husband, Jeremy, and their two daughter’s, Brynn and Rylee. Brooke’s family also includes four furry children: Ginger, Dude, Tiger Lily, and Patsy. Shana’s love for animals started when she was very young, and she would often bring home stray pets to keep as her own! She is an Air Force veteran who recently graduated from The University of Akron with a bachelor’s degree in communications. She joined TLC in October of 2017. When she’s not working, Shana enjoys spending time with her daughter Ava. They also share their home with 3 cats, Benny, Willie and Sammi. Copyright © 2014 Tender Loving Care Animal Hospital. All rights reserved.